Manchester United avoided a fifth defeat in their previous six matches as they narrowly beat West Ham United 2-1 at Old Trafford on Saturday. The Red Devils were pretty much second-best throughout however as they relied upon two Paul Pogba penalties to see them over the line against Manuel Pellegrini’s men, with Jesse Lingard getting the nod on the right-hand side of a 4-2-3-1 formation. The England international has played in a range of positions in recent weeks including attacking midfield, winger and behind the striker, but he is really struggling for goals and assists. In fact, he hasn’t found the net in the Premier League since December and has just the one assist in his previous 10 top flight appearances despite often playing in an advanced role for Ole Gunnar Solskjaer’s side. One United supporter on Twitter believes that the 27-year-old may be more suited to a deeper role in the middle of the park, but are they right? I’d bring Greenwood on for Mata, move Lingard slightly deeper. We seem to be playing like the players have only known each other for an hour! Not very cohesive at all. Basic passes going straight to the opposition. Just really bad. Specially with this being a must win game! Lingard often gets lost out wide and doesn’t have the pace and skill to take opposition full-backs on – as proved to be the case against Arthur Masuaku at the weekend – but he wouldn’t particularly need those traits in the middle of the park. In that area of the pitch you rely more on your stamina and your ability to win the ball – no United player won more tackles than the Englishman’s five on the home on Saturday, as per WhoScored. The 27-year-old playing in a deeper role could potentially allow Paul Pogba – who once again looked lost in a less advanced position against the Irons – to move further forward. 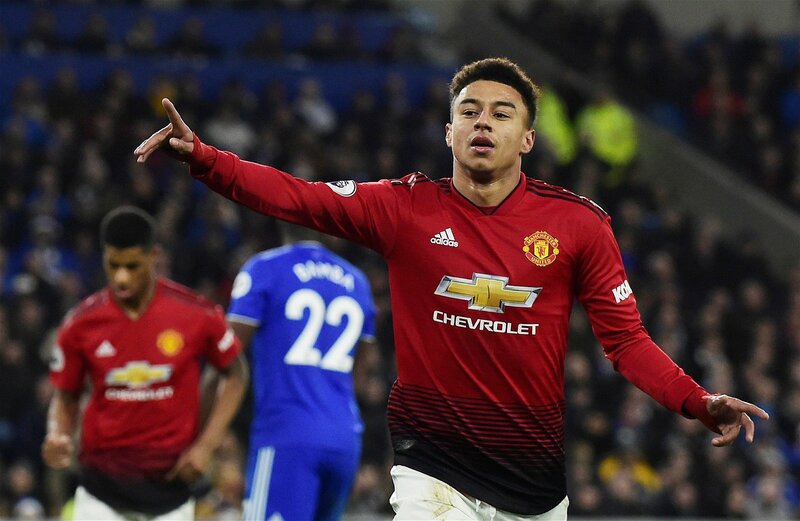 At home playing Lingard there could probably work as United do most of the attacking and look to break teams down, but it would likely be a different story on the road. He may well have a never-say-die attitude but you need that defensive nous at all times against bigger teams on the road for example, and it would certainly be a risk by Solskjaer to deploy him there regularly. The Three Lions star is also prone to being bullied by some opponents and isn’t always the greatest in possession, and that would be a worry if he was in such a key area. Playing Lingard out wide clearly isn’t working as he just doesn’t have the traits to be a successful winger, so something needs to change if he is going to carry on being a regular in the XI. Perhaps the answer is to leave him on the substitutes’ bench for a few matches, but it certainly seems as though he needs to play central to get some form back. Given he isn’t prolific in terms of goals and assists, perhaps the deeper role where he can win tackles for his team is the right way to go now.